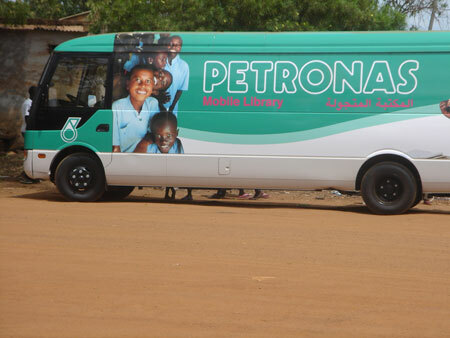 A mobile library in Juba, gift of the Petronas company to the people of southern Sudan. Morton, Chris. "Mobile library in Juba" Southern Sudan Project (in development). 03 Jan. 2006. Pitt Rivers Museum. <http://southernsudan.prm.ox.ac.uk/details/2007.137.105/>.